Do not flush anything other than toilet paper down the toilet. 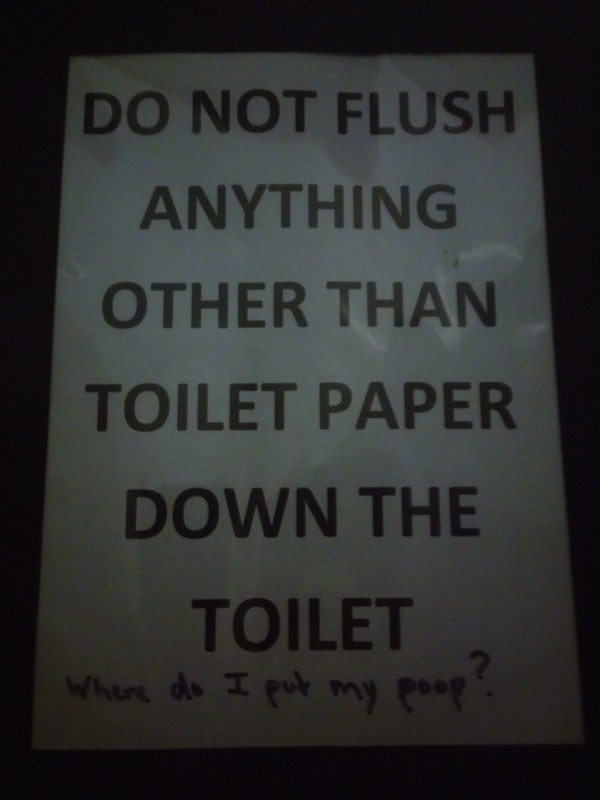 – Where do I put my poop? Smoking is good for enviroment…The ol’ razzle dazzle!